Check Rates & Availability at BEST WESTERN Executive Suites! Service men and women in town for the Columbus Air Force Base enjoy a fast commute and great customer service at our Columbus hotel. Exterior hotel only and centrally located around major restaurants and shopping, guests at our Columbus hotel enjoy large room sizes and being less than five miles from historical attractions. 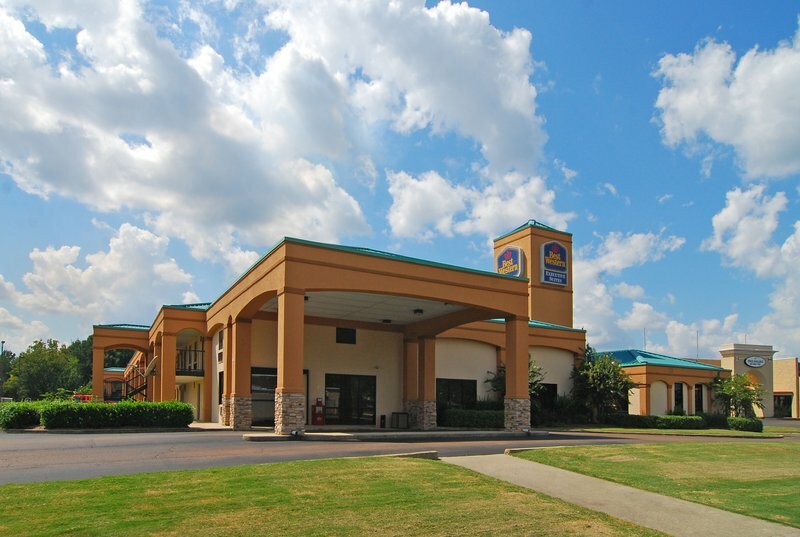 Best Western Columbus, Mississippi boasts exceptional customer service, and we're focused on always putting the guest first. From the moment you arrive until you check out, you can rest assured that you'll get the quality and service you deserve. The Best Western Executive Suites sets the bar high in terms of amenities and guest services. The Trotter Convention Center is nearby, making it easy for guests to attend special events. The Friendship Civil Rights Cemetery is also in the neighborhood and a popular destination for those looking for a touch of history during their trip. Columbus, Mississippi hotels boast a prime location, and no matter what the reason for your visit, you'll enjoy being near everything, from local businesses to sightseeing spots. Columbus hotels are surrounded by historic Antebellum homes, which set the stage for a quaint and charming getaway. Of course, the Lake Lowndes State Park is another big draw, with fishing tournaments at Lock & Dam a favorite pastime for locals and travelers alike. Mississippi State University is close to our Columbus hotel and we regularly host visiting students, faculty and staff. Whether you're here with the Mississippi University for Women and School of Math and Science, to visit the Columbus Air Force Base or to see the Tennessee Williams Home, it's important to stay at a Columbus hotel that combines value with a great experience. Luxury bedding, spacious rooms and clean, comfortable amenities make your stay even more special. Let us know if we can do anything at all to make your visit to the area even better. Book your room at the Best Western Executive Suites today! From: North. Take Highway 82 to the Highway 45 North Exit. Drive south one mile to the Best Western Executive Suites behind the Grill Restaurant on the left. From: South. Take Highway 45 north. Turn east onto Highway 82 and take Highway 45 Exit. Turn north and drive for one mile. The Best Western Executive Suites is behind the Grill Restaurant on the left. From: East. Take Highway 82 west to 18th Avenue exit. Turn north and drive for one mile. The Best Western Executive Suites is behind the Grill Restaurant. From: West. Take Highway 82 east to 18th Avenue exit. Turn north and drive for one mile. The Best Western Executive Suites is behind the Grill Restaurant. 1.00 mile(s) from Hong Kong, full service, Chinese, open for: lunch, dinner, 12:00 p.m. to 10:00 p.m.
0.03 mile(s) from Longhorn Steakhouse, full service, American, open for: lunch, dinner, 11 a.m. - 10 p.m.
1.00 mile(s) from Applebee's Grill and Bar, bar/lounge, American, open for: lunch, dinner, 10:00 a.m. to 12:00 a.m.